Fisheries Management Scotland is actively involved across a wide range of policy areas related to the protection and conservation of fish and fisheries across Scotland. This page gives an indication of the range of issues covered. Please note that these are listed in alphabetical order, rather than by priority. November 2016 saw the Cabinet Secretary for Environment, Climate Change and Land Reform announce that she is minded to allow beavers to remain in Scotland following completion of a Habitats Regulations Assessment and consideration of the need for a Strategic Environmental Assessment. Fisheries Management Scotland were members of the Beaver Salmonid Working Group (BSWG) which was established in 2009 as a sub-group to the National Species Reintroduction Forum, to consider the potential impacts of beaver activity on Atlantic salmon and brown trout. The final report of the BSWG was published in January 2015. The benefits of beavers as ‘ecosystem engineers’ are well known, however, their activities can also create conflicts in some areas. In order to manage these potential conflicts, SNH is developing guidance and support for land, infrastructure and fisheries managers. To support and advise on this work, the Scottish Beaver Forum was established in 2017. Fisheries Management Scotland and the Tay District Salmon Fishery Board represent fisheries managers on the Scottish Beaver Forum. Ensuring that a robust beaver management plan is developed which takes full account of the needs of migratory fish. Ensuring that fisheries managers have access to appropriate management tools which can be deployed, where necessary to ensure the free passage of migratory fish. Making the case for beaver management activity undertaken by our members is appropriately resourced. Helping to ensure that no further illegal introductions occur in Scotland. 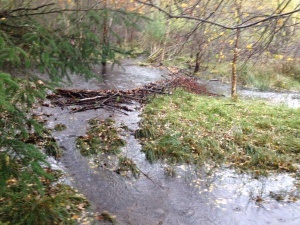 SNH are currently trialling several techniques such as dam notching and flow devices to regulate the water level of beaver dams. 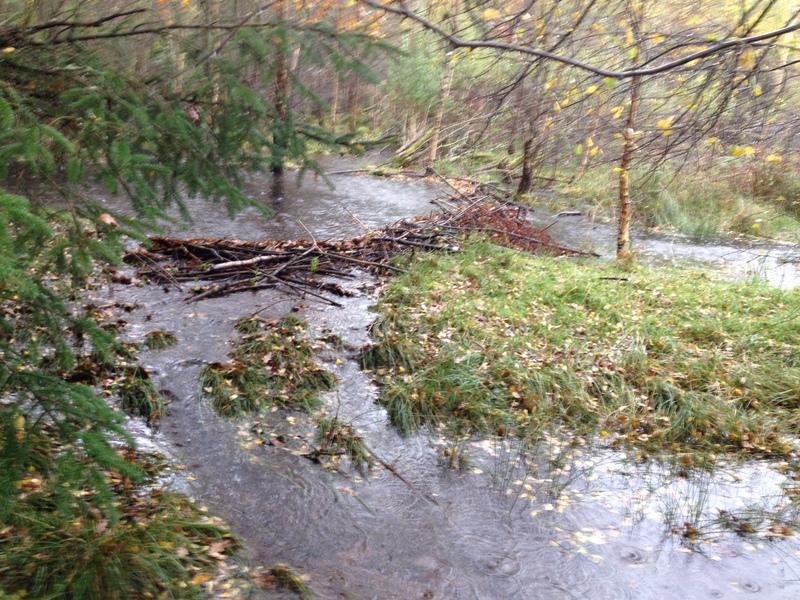 In many cases, it will be possible to remove or notch dams without requiring a licence. This is vital as the beaver-salmon working group was clear that dams associated with culverts and fish passes would need swift action. Scottish Government and SH are also reviewing the law to ensure that future illegal releases of beavers can be adequately enforced. District Salmon Fishery Boards and Fishery Trusts are involved in a number of means of increasing salmon and sea trout populations including habitat maintenance and enhancement, mitigation of diffuse pollution, removal of in-stream barriers to migration, removal of invasive non-native species and stocking programmes. However, the simplest means for anglers and ghillies to make a positive and significant contribution to increasing fish populations is through catch and release. The proportion of the rod catch accounted for by catch and release has increased dramatically since 1994, when such information was first recorded in Scotland. 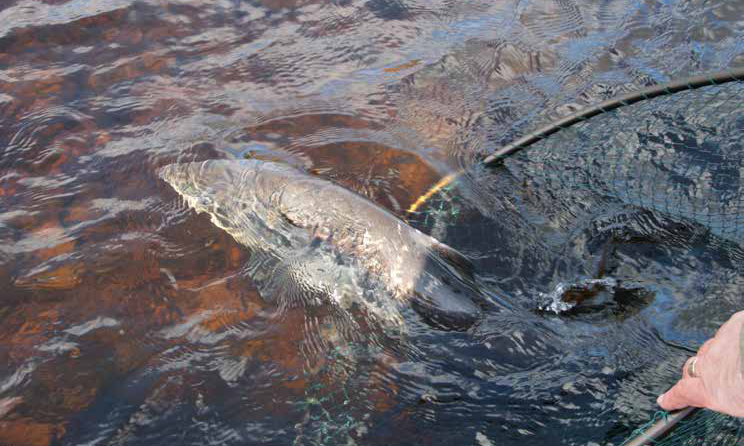 Numerous angling and radio-tracking studies have demonstrated high survival rates and successful spawning for salmon released after capture – up to 100% under certain conditions. However, the longer a fish is out of water, or poorly handled, the less chance it has of survival. Scotland’s wild fisheries organisations have combined with their counterparts south of the border to produce a new angler’s guide on Catch and Release for Salmon. The guide’s primary purpose is to provide practical advice and guidance to anglers to maximise the survival of salmon which anglers choose to release for conservation purposes. Diffuse pollution is the release of potential pollutants from a range of activities that individually may have little effect on the water environment, but at the scale of a catchment can have a significant impact. Diffuse sources of pollution include run-off from roads, houses and commercial areas, run-off from farmland, and seepage into groundwater from developed landscapes of all kinds. Rural diffuse pollution arises from land use activities such as livestock grazing, cultivation of land to grow crops and from forestry operations. Such activities can give rise to a release of potential pollutants the pressures and impacts of which include: eutrophication; loss of biodiversity; silting of fish spawning grounds; and impacts on human health through drinking water or bathing water pollution. The pollutants of concern include the nutrients nitrogen and phosphorus, sediment, pesticides, biodegradable substances, ammonia and micro-organisms. 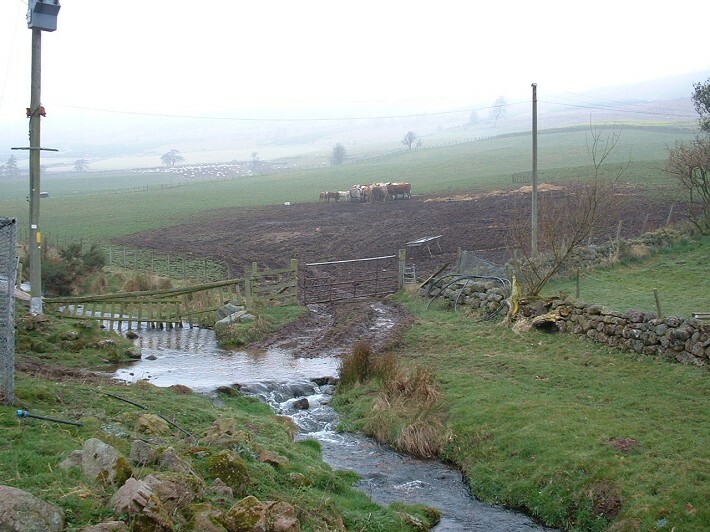 Fisheries Management Scotland is a member of the Diffuse Pollution Management Advisory Group, a partnership that focuses on improving Scotland’s water environment by reducing rural diffuse pollution. 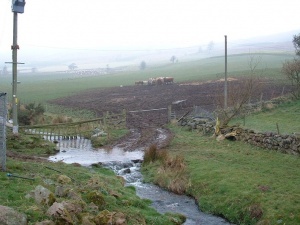 The main purpose of this advisory group is to: help create a robust governance, decision-making and coordination framework for the effective delivery of rural diffuse pollution RBMP actions in Scotland; and ensure input from a cross section of rural, environmental and biodiversity interests. A major output from DPMAG is the rural diffuse pollution plan for Scotland which is designed to ensure that the key stakeholders in Scotland work in a coordinated way to reduce diffuse pollution from rural sources. DSFBs are statutory regulators and written consent must be obtained from the relevant Board prior to the artificial stocking of salmon and sea trout in the Board’s district. Fisheries Management Scotland have produced guidelines to assist Boards in this regulatory function; hatcheries and restocking projects can be effective management actions if carried out in the appropriate circumstances. Inappropriate stocking practice can be ineffective and costly at best, and at worst positively damaging to native stocks and sub-stocks of salmon. This is becoming more evident as our understanding deepens in relation to the genetic structures of salmon. The guidelines are designed to assist Boards in the decision making process. Invasive non-native species and fish diseases damage our environment, the economy, our health and the way we live. Non-native species have long been introduced and used as ornamental plants or pets and only a small minority of them are or will become invasive. However, the threat from invasive species is growing at an increasing rate assisted by climate change, pollution and habitat disturbance. They are now recognised as the greatest threat to biodiversity next to habitat destruction and they threaten our native plants, animals and habitats. Fisheries Management Scotland members have have a wealth of experience in controlling invasive species, undertaking this work as part of their normal river management. 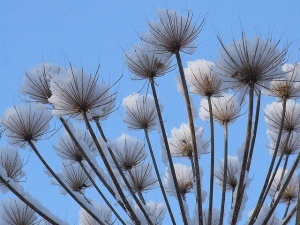 Recently, the Scottish Invasive Species Initiative (SISI) was established- an exciting and ambitious 4-year partnership project set up to tackle invasive non-native species alongside rivers and watercourses in northern Scotland. The project is led by SNH and brings together ten Fishery Trusts/Boards and the University of Aberdeen who will work closely together to ensure successful delivery of the project. Fisheries Management Scotland are contributing to the development of a UK-wide Angling Pathway Action Plan to facilitate the uptake of good biosecurity practice by anglers. More information on invasive non-native species. Learn more about how to help stop the spread of invasive plants and animals in British waters via the ‘check, clean, dry‘ campaign. Determining the possible impact of marine developments on migratory fish can be very challenging as there remain considerable uncertainties regarding the behaviour and migratory routes of these fish. Fisheries Management Scotland, and previously the Association of Salmon Fishery Boards have led efforts to ensure that the potential impacts of marine renewables (offshore wind, wave and tidal energy) on migratory fish are understood. The main concerns with regard to the effects of marine renewables on migratory salmonids have been the effects of noise during construction and operation, the effects of electro-magnetic fields (EMFs) during operation and from associated cabling and the potential of some forms of sub-sea devices to inflict physical damage on fish. Fisheries Management Scotland works with Marine Scotland, Marine Scotland Science, SNH, The Crown Estate and the renewables industry to find the best way to fill these knowledge gaps in order that proper assessments of the potential impacts of proposed schemes on wild salmonids can be made. Fisheries Management Scotland are members of the Diadromous Fish Specialist Receptor Group which is concerned with evidence gaps related to the health, distribution and impacts on Diadromous fish. 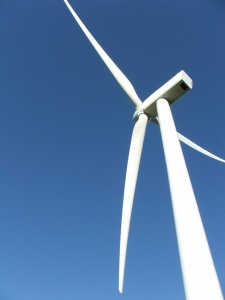 This is part of the Scottish Offshore Renewables Research Framework (SpORRAn) designed to support collaborative and co-ordinated environmental and socio-economic research to facilitate the sustainable development of the Offshore Renewable sector in Scotland. Fisheries Management Scotland are also members of the Moray Firth Regional Advisory Group and Firth and Tay Regional Advisory Group, to consider and assess the monitoring and research work undertaken by existing and proposed developments in order to discharge their consent conditions. A variety of birds and animals can cause serious damage to fisheries. The law recognises this and permits licences to be granted to control piscivorous birds and seals. Licences to shoot seals are granted under the Marine (Scotland) Act 2010. Control of piscivorous birds is determined under the Wildlife and Countryside Act 1981. The journey that Atlantic salmon and sea trout make to sea, from freshwater, is a particularly vulnerable time. There is now increasing evidence that predation during the journey from freshwater to seawater may be significant. The number of smolts leaving rivers is directly related to the number of returning adults. By this stage, young salmon preparing for the marine environment have left their natal streams and are effectively ‘irreplaceable’. Maximising the number of healthy wild smolts leaving our rivers is a crucial means of ensuring sustainable populations of salmon and sea trout. Fisheries Management Scotland supports its member Boards and Trusts in ensuring the protection of fisheries from serious damage from predation. It is important that District Salmon Fishery Boards have a range of appropriate management tools to ensure that our iconic freshwater and migratory fish species are protected where necessary. River basin management planning is about protecting and improving Scotland’s water environment in a way that balances costs and benefits to the environment, society and economy. Scotland is covered by two plans – the Scotland river basin plan and Solway-Tweed river basin plan. Preparation is now underway for the third round of river basin management planning. 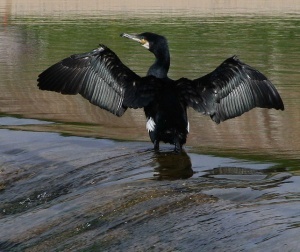 Much of the water environment in Scotland is already in good condition. The water bodies and protected areas that are not in good condition are affected by impacts on their water quality, physical condition, water flows and levels, and accessibility for fish migration, or by the impact of invasive non-native species on their aquatic plant and animal communities. Fisheries Management Scotland is a member of The National Advisory Group (NAG), which advises on and supports the development of river basin planning in Scotland. The Scottish Government has introduced a range of measures designed to improve the conservation status of salmon by managing the pressure of exploitation through fishing within Scotland’s domestic waters. Such measures should be viewed in conjunction with other management activities being undertaken at a local level in the interests of conservation. Fisheries Management Scotland is a member of the Salmon Liaison Group, which was created to steer the development of the methodology behind the conservation status system. A number of technical working groups have also been created which will be overseen by this primary group. Large scale terrestrial wind farms have been built in important river catchments with little or no observable impact on either water quality, quantity or fish populations. Equally, there are have been examples of catastrophic failure of wind farm developments (Derry Bran – Republic of Ireland) and also significant water quality impacts during construction – particularly during periods of high run off. There is therefore potential for considerable long and short term damage to the freshwater environment. By deploying a proper risk assessment, appropriate construction methods and good contractor supervision, these risks can be reduced to manageable levels.